Shweta Narayan and J.C. Runolfson. 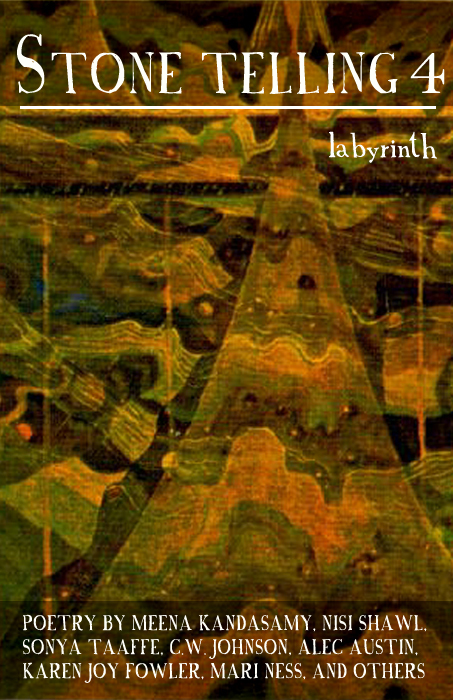 Introduction: Labyrinth. I'm here to tell you all your secrets, all your underneath. And after all, / what good is one wing? In Finland, the first letter said, with C., whom I met at the ruins in Oxkintok. The leaves / fall hard around me. They cling on to an orderliness / which escapes her tongue.